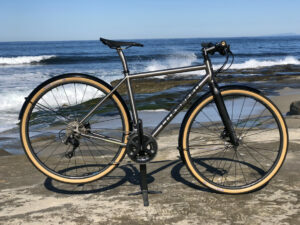 MTB & ATB Bikes - California Bicycle Inc.
San Diego and Southern California offer us a wide variety of off road and mixed surface riding, which keeps us here at California Bicycle constantly on the search for different bikes for the varying terrains right in our own backyard. We at California Bicycle are proud to offer a wide variety of all terrain bikes from your entry level mountain bikes all the way to big hit enduro and trail style bikes! 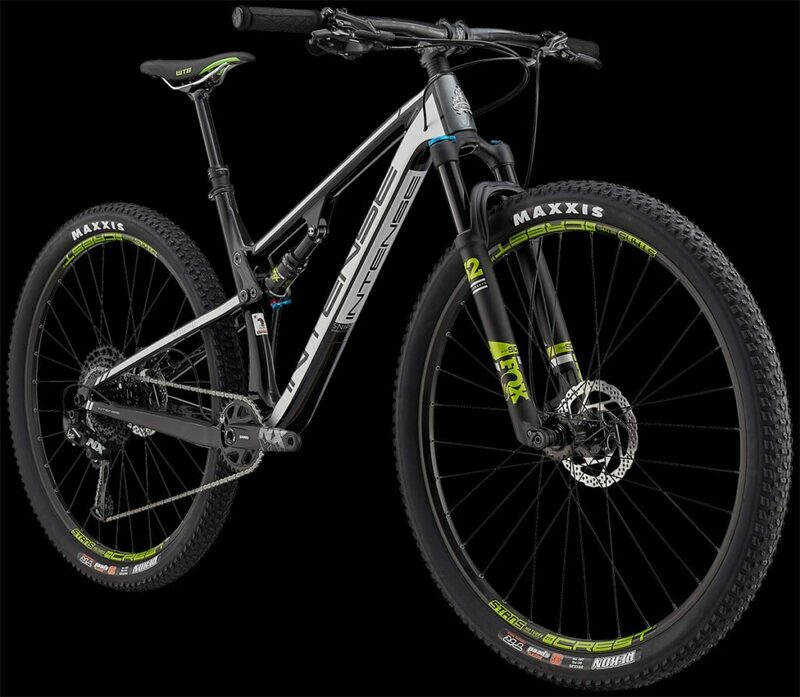 We are proud dealers of off road brands including; Norco bikes, Intense Bikes, Litespeed Bikes and more for your adventures off the beaten path. The Intense Sniper is a ground-up, dedicated, pedaling machine with two different travel versions: XC 100mm and Trail 120mm. Short travel bikes should descend like their long travel siblings and that’s what we have worked to craft into the Sniper. This is no “Twitchy XC bike”. With the 29” wheel size and progressive XC/Trail geometry, you get a stable ride that goes where you point it. Offered with a standard hardware package as well as a lightweight SL package to shave some grams, the Sniper takes XC Race and Trail riding to the next level. 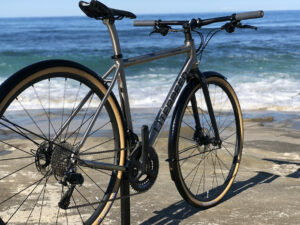 We took Litespeed's extremely versatile endurance road-bike that is also gravel capable and can be built to be your ultimate "everything" bike! With this build we chose flat handlebars for a more relaxed rider position as well as Velo-Orange fenders front and back to keep your threads clean! The Litespeed Cherohala is an elite, all road titanium frame offering performance and luxury with dirt capabilities. 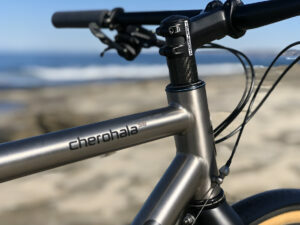 Precision formed tube specifications with thin walls allow the Cherohala to be light, agile, and responsive. 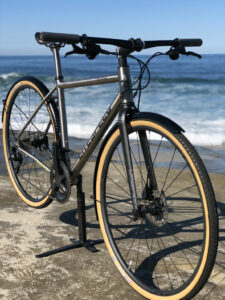 It's truly an exquisite titanium road-bike that is fully gravel capable.